When you think back on your childhood, you may recall playing on a rusty old metal swing set with hard plastic seats. Remember how the whole thing threatened to flip over if you swung too high? The backyard play sets of today are a far cry from those rickety contraptions. Now kids have their choice of towers and forts in addition to swings and slides. What about a rock climbing wall?! We have the technology. 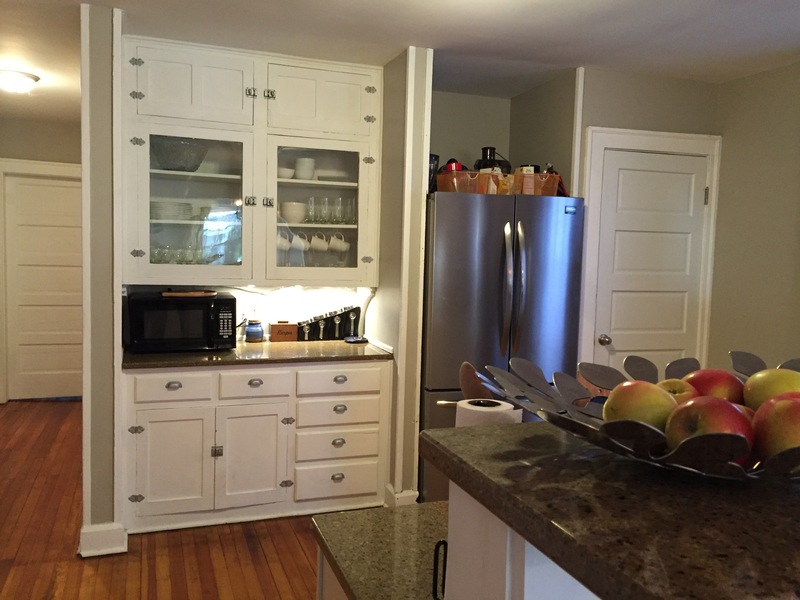 The choices are endless … and the cost can run in the thousands of dollars. So what’s a parent to do? Here are a few things to consider in your quest to build a better playset. Know your audience – What’s the age of the child you are building the playset for? What interests a toddler is less engaging for a 10-year-old. Look for a playset that can be reconfigured as your child grows up. Some sets will have features that can be removed and replaced with more age appropriate ones using very little additional construction. It’s going to be how big? – Determine the size of the area where you want to put the playset. It will help to narrow down the choices in design plans. Consider placing the structure off to one side of the yard rather than in the middle. That gives the kids an open space where they can play football and other games. Besides, you don’t want to step out you back door and onto the jungle gym. Avoid any trips to the ER – Know the weight limit of the playset you select. If you expect a neighborhood of kids to be on it at one time then spend the money for the highest rated play set. Accidents will happen so cushion their falls with a protective surface like bark or rubberized mulch. Spread it in a dense layer and extend it around all sides of the structure. Make sure all platforms and ramps have guard rails. Can I mortgage that playset? – Focus on the quality of the building materials and the inclusive safeguards more than the elaborate play features. 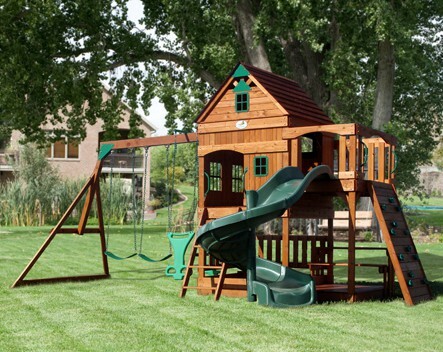 A playset made from good hard wood like cedar or redwood is the preferred choice of most professional playset builders. Sure, you will have to clean and paint it, but if properly maintained, a set built out of this kind of wood could last 7-10 years. Pressure treated lumber is less expensive but it has been created using chemicals that you don’t want to expose your children to. Manufacturers say the toxicity levels are low but ultimately it is your call as a parent on whether the risk is worth it. Stick with the classics – Forget all the fancy construction plans. Swings and slides will always be in fashion. Elaborate features like rock climbing walls or trapezes only add to the cost of the project. Remember these are the same kids that happily played with your pots and pans just a few years ago. That swinging pirate ship may fall out of fashion with them in a heartbeat, and if isn’t not easy to remove, you’re stuck with it marooned in your backyard. No one knows your kids the way you do. Select the type playset that will make them want to put down the smart phone, remote or other device and run out to play on it. Make building it a family project. Even young children can hand you a hammer or help spread mulch. It is all about creating memories of childhood days spent playing with friends on a backyard playset – one they’ll remember was built just for them by you. Priceless. Our expert staff is always on hand to help you with your backyard projects. From circular saws and nailers/staplers to pressure washers and mulch, if you have any questions about what to choose, pricing or how-to’s, don’t hesitate to contact us. Stop by our store — we’re open seven days a week.